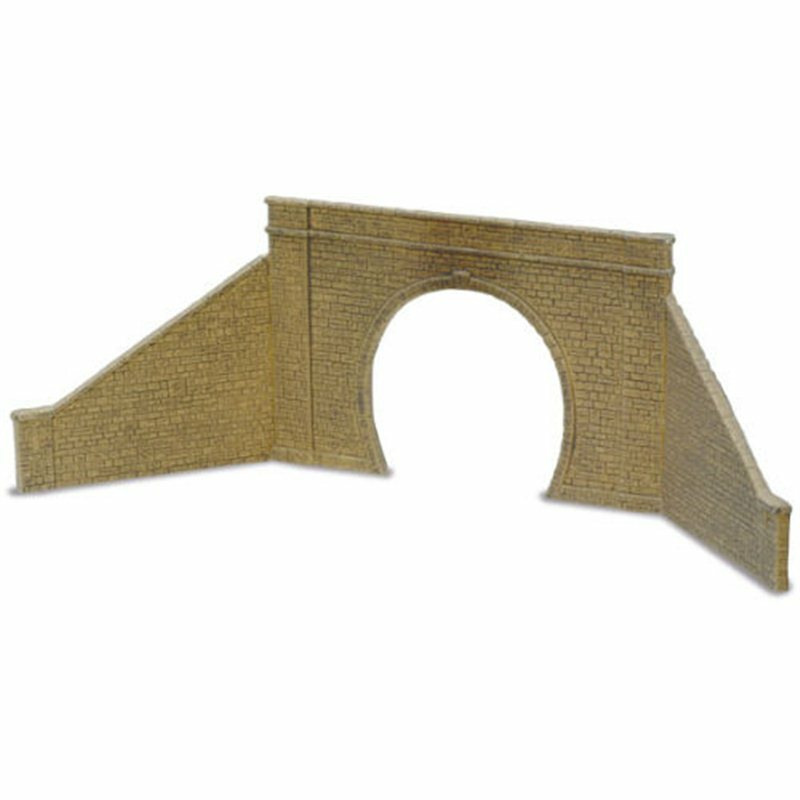 Kit consists of one tunnel mouth and two separate wing/retaining walls, ready painted vacuum formed plastic. W: 150mm, H: 97mm, Wing L:100mm. Vacuum moulded plastic ready painted in realistic dark stone colour. The seperate wing/retaining walls can be placed at varying angles.